Lotus range is cleaner than ever | What Car? 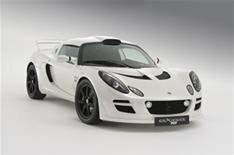 Lotus has tweaked its Elise and Exige models to eke out better fuel economy and cut CO2 emissions. Lotus says that the changes are a result of continuous improvement and have cut emissions by up to 9% and increased fuel economy by a similar figure. The entry-level Elise S model gets the biggest benefits, with average fuel economy up from 34.0mpg to 37.2mpg and CO2 emissions down from 196g/km to 179g/km. Compared with many high-performance rivals, the Lotus range's lightweight construction and small-capacity engines give it lower CO2 emissions. Mike Kimberley, CEO of Group Lotus, said: 'The Lotus philosophy of performance through light weight is even more relevant in today's emissions-focused ecological world.